Having problems receiving Freeview? On this page, we offer help with signal and reception questions. Check your coverage – Are you in an area likely to receive Freeview? – See our “Freeview coverage” page. Aerial suitable? – For best results, you need a good quality rooftop aerial that’s pointing at a digital TV transmitter. For aerial advice, see our aerial section. Transmitter work – Check to see if there’s transmitter work being done that might affect you. Failing that, it could be that you’re just in a no-signal area. See our section on Freeview coverage. Check your coverage – Are all of the Freeview channels available in your area? – See our “Freeview coverage” page. Scan for channels – First off, try performing a full re-scan for channels – Sometimes channels get re-organised and you need to rescan to get the full lineup, and sometimes a rescan is needed if your aerial, cabling or signal reception has changed. Use your Freeview receiver’s on-screen menu to scan for channels – See “scanning for channels” for more. Is your aerial suitable? – For best results, you need a good quality rooftop aerial, pointing at the appropriate digital TV transmitter. For aerial advice, see our aerial section. Wrong band of aerial? – It could be that your aerial isn’t capable of tuning in some of the Freeview signals. Freeview signals are transmitted on six clusters of channels, called multiplexes. If you find you’re missing a few channels, or you can’t receive some of the Freeview channels you’re after, it could be that you’re not able to receive one or more of these multiplexes because of the type of aerial you have. Check in our Freeview channel list to see which Multiplex you can’t get. Then, check the ‘band’ that the multiplex is in (using Wolfbane), and verify whether your aerial is designed to work with that frequency ‘band’. It could be that the Freeview channels are outside that band – For more on this, see our Aerial Group section. Interference? – There are several factors that can affect your signal and cause interference, including cabling, weather, electrical appliances, etc. All of these things can affect your ability to receive channels – Go through the steps on our “Freeview Interference” page. Check your cabling – Having lots of aerial extension leads, splitters and adapters can affect your signal quality, as can looping your TV aerial feed through video/DVD recorders. Give your receiver the best chance at getting a quality signal – See our cabling advice to eliminate any weak links in your cabling. Weak signal? – Most Freeview receivers allow you to view an on-screen display of your signal strength. Check your signal on the UHF channel that relates to the group of channels you’re struggling with. Making improvements to your aerial is most likely to make a difference to your signal, and addressing cabling issues also helps. In many cases a signal booster can also help to improve a poor signal. Too much signal? In some cases, if you’re fairly close to your TV transmitter, you may be getting too much signal, and could be overloading your Freeview receiver. If this is the case, you need an Aerial attenuator from Maplin. This plugs into the aerial socket and reduces the signal. Lineup change – If a new channel is added to the Freeview line-up, or a change is made to the way that a channel is broadcast, you may need to perform a scan to get the channel you’re missing. Moved house / moved the box? – The channels stored on your box relate to the channels that were last stored. If you’ve moved house, or moved the box to a different aerial, you’ll need to scan for new channels, to see what the new aerial can receive. Ex- OnDigital / itvDigital customer? – If you are using an old set-top box and find you can’t get all your channels, this is because the line-up changed many years ago. You need to re-update your channel listings. To do this, look for the ‘Store channels’ option in your set top box menu (Note that an ‘Add channels’ may not be sufficient to get all of the channels, you may need to perform a full rescan for all channels.). Suddenly vanished? – If some of your channels have suddenly vanished, it could be that your box has done an automatic scan for new channels and when scanning, couldn’t find some of the channels – maybe because the transmitter is on reduced power, or you experienced some interference. Other reasons for sudden loss of channels include: aerial damage, adverse weather conditions, cabling problems, local interference, or channel changes/renumbering. Sometimes trying another Freeview receiver in the house, or checking a neighbour’s reception can help to identify a problem. In general, the best advice is to ensure your box is getting a decent signal (using the advice on this page), then rescanning for channels. Need more help on missing channels? Ask in our Freeview Problems forum – include the make/model of your Freeview receiver, plus your postcode. Missing a new channel The above answer outlines what to do if you’re missing groups of channels, but what if you’re just missing one channel – perhaps a new, recently-added channel? Firstly, perform a scan from your Freeview receiver – sometimes channels get reorganised or replaced, and your box may not pick up changes automatically. Next, you need to check whether you can get other channels on the same multiplex as the channel you’re looking for. See our Freeview Channel List, find the channel you want, and look in the Mux channel column. If you can’t get any of the channels on that Mux, then see the Missing Channels question. Double-check that the channel you want isn’t on a different channel number to the one you were expecting. The channel numbering changes now and then, and channels sometimes move around. If your lineup is out-of-date, you need to rescan to get the correct lineup. Try performing a full rescan of your channels (don’t just do an “add channels”). Interference There’s nothing more annoying than interference, picture drop-out and pixelation when watching your favourite show. When you see these kinds of problem, this is because your receiver isn’t getting a strong clean signal. We have a page, plus a step-by-step guide, on how to deal with the various causes of interference to Freeview. See our: Dealing With Freeview Interference section for loads of tips and suggestions. To receive Freeview and Top Up TV, you must have a suitable Freeview Set-top box or digital TV, which is capable of receiving a Freeview TV signal via a TV aerial. here are several coverage predictors available, which use your postcode to assess whether you may get a signal. Digital UK: Enter your postcode at digitaluk.co.uk/postcodechecker. Note that these predictors only provide an estimate of coverage, and can be inaccurate, as a number of factors have to be considered, including local obstructions, whether you’re in a dip or behind a hill, the quality and height of your TV aerial, etc. It’s fairly safe to assume that if you get a fairly strong signal on the main 5 channels from the same transmitter as a transmitter that offers a digital TV signal, receiving Freeview shouldn’t be a problem in most cases. However, the only true way to find out 100% is to either borrow a friend’s Freeview box to try it out, or contact a TV aerial company and ask them to perform a signal test using your aerial. As below, aerial upgrades and boosters can help to improve a weak signal if needed. Improve your aerial – Getting a good quality aerial of the correct group mounted on your roof and pointed directly at the appropriate digital TV transmitter gives you the best chance of getting a signal. For aerial advice, see our aerial section. Cabling To get the best possible signal, as well as having a good aerial, you need to make sure your internal aerial (co-ax) cabling is up to scratch. Your mission is to get the feed from your aerial into your Freeview box with the minimum of joins, and connecting via the minimum number of other boxes / adapters, to keep down ‘loss’. You also need good quality, undamaged cabling and connectors. Poor cabling, connectors and cheap/damaged ‘flyleads’ is one of the more common problems. If you have TV aerial extension cabling feeding other rooms, or you’re looping your aerial through other TV sets, video/DVD recorders or PC TV cards, then you’re adding potential problems. Connecting to extra TVs, long cable runs, or looping through video recorders can all reduce the signal that’s getting to your Freeview box. Try making the most direct connection possible – connect your Freeview box to the main aerial feed, disconnecting any extensions or video recorders to see if that makes a difference – give the Freeview receiver the best chance of getting a good quality signal. If you need to feed lots of rooms or equipment, you’ll find that an amplified signal booster can help maintain signal when the source is split. If you’re having problems, you may also want to consider replacing any dodgy-looking aerial cable, splitters or connectors, to help eliminate anything that can cause interference. Just replacing your flylead from the aerial socket on your wall to the Freeview box can make a difference. Use a high-quality co-ax aerial cable with gold-plated co-ax connectors (from Maplin), don’t run your aerial cable anywhere near your mains cables, and don’t use longer cables than you actually need. It’s also important to make sure any connectors are a tight fit in their aerial sockets, as loose connectors can cause intermittent signal loss. If your TV aerial feed comes from a wall socket (not just a floating aerial lead coming in through the wall, there’s also a chance that there may be damage to the aerial wiring behind the wall plate (such as the centre core of the aerial cable having snapped). You’ll find Maplin Electronics can provide high-quality aerial parts and RF connectors, including cable with gold-plated connectors. Unless you’re in a very strong signal area, you’ll need a good quality external (roof) aerial to get good Freeview reception. For best results, you should get a good quality aerial of the correct Group, possibly with a masthead amplifier, mounted on your roof and pointed directly at the appropriate digital TV transmitter – this gives you the best chance of getting a good solid signal. Aerial height can make a difference, and the aim is to get “line of sight”, with no buildings / powerlines or other obstructions in the way. You could consider fitting a good aerial yourself (Try Maplin for the parts), or check Yellow Pages for the name and number of some reputable aerial installers and get some comparative quotes. If in doubt, seek professional advice and get the best that you can afford. If in doubt, a wideband aerial (Group W) may be the best option – these are optimised to receive TV channels anywhere in the UK TV band. In areas of weak signal, a wideband aerial may not be quite as effective as a high-gain aerial designed for the specific band you’re trying to receive (a mast-head amplifier may be needed to help boost the signal), but in most cases, they’re a good compromise. If you’re looking to upgrade aerial, getting a good quality wideband aerial is usually the thing to do, so that if additional services (such as Freeview) appear elsewhere in the band, you’ll be able to get them. High gain aerials can be used to reduce certain types of problem – including weak signal, interference and ghosting. They do this by getting the most out of the signal. For the best results in weak signal areas, look for a high-gain aerial optimised for the band you want, and ensure that it’s pointed directly at the target transmitter, with sufficient height to clear any obvious obstructions blocking line-of-site to the transmitter. Indoor aerials If you get a strong enough TV signal where you live, receiving Freeview on an internal indoor aerial is perfectly possible, but for better results, an external aerial pointing in the direction of your local Digital TV transmitter is a much better bet. Indoor aerials are less able to pull in signals, and more susceptible to interference from domestic equipment (computers, washing machines, etc). It’s often hit and miss with indoor aerials, and as the transmitters for digital TV operate on a lower power than normal analogue TV transmissions (so as not to interfere with analogue), you’re less likely to get a good digital TV signal from an indoor aerial. As a general rule of thumb, if you get a poor analogue TV signal from an indoor aerial, you don’t stand much of a chance with digital. Entering your postcode into Wolfbane’s coverage predictor gives you an aerial recommendation that can help to give an idea of the effectiveness of an indoor aerial, and a direction to point the aerial. A proper external aerial, or a even a loft aerial, is your best bet for good reception, but if your only option is an internal portable aerial, go for a good quality indoor aerial. Look for a powered one , and aim it at the appropriate transmitter. Try to keep it close to a window, with as few walls and as little metal as possible between the aerial and the transmitter – keeping the aerial high, away from other electrical equipment, and close to a window, can all help too. If you’re looking to get an indoor aerial, there are some test results on Ricability‘s site. One of the indoor aerials to come out top in consumer tests is the Telecam TCE2001 – this is available from Argos, priced under £20 (Cat: 534/4008). As well as Argos, it’s worth looking at the range of indoor aerials at Maplin Electronics – We’ve had recommendations that Maplin’s High Gain Indoor Digital Aerial with Amplifier (Cat: A95GT) performs well. If you have a roof aerial, but not in the required room, consider running a cabled extension. Aerial extension kits are easy to do, and are available for a low price at Maplin Electronics. Boosters Signal boosters are small boxes are mains-powered devices that you plug your TV aerial into, and that amplify the incoming TV signal. In some cases, a mains-powered booster can help to improve your Freeview signal, but it’s important to understand that if your aerial’s only capable of getting a weak or noisy signal, the booster won’t have enough signal to boost, and it will also be boosting the “noise” as well as the signal. Where boosters can be of help, is situations where you’re feeding your Freeview signal to multiple TV sets around the house, or to lots of bits of equipment. They can ensure that there’s minimal “loss” as the signal passes through other bits of equipment or indoor cabling, and many boosters have multiple amplified outputs to support feeding other equipment and rooms. Scanning for channels Occasionally, the Freeview channel lineup changes – new channels are added, or old ones deleted – if you’re not getting the channels you’re expecting, try scanning for new ones. If you’ve recently moved, or you’re using an old onDigital/itvDigital box again for the first time, you’ll also need to do perform a channel scan, to pick up the current channel lineup from your local transmitter. How you do a channel re-scan varies from box to box, but if you look through your Freeview receiver’s onscreen menu, you should find an option called something like “store channels”, “channel search”, “new channels”, “scan for channels”, or something similar. If you’re not sure of how to scan, refer to your Freeview receiver’s manual. Wolfbane Predictor The Wolfbane Digital TV coverage site offers some excellent information on receiving digital TV in the UK, but it’s designed for those with a technical understanding of how it all works. TV regions The UK is divided up into a number of geographical TV regions (e.g. London, East Anglia, Scotland, Southern England, etc). If you live on the edge of a region, it’s probable that you’ll be able to receive more than one region (as you may be in the coverage area of more than one transmitter). This means that the ITV channel isn’t necessarily the one you expect (or want), or you get BBC regional programmes that you weren’t expecting. This is because when your Freeview box does a scan for channels, it makes a decision about which is the most appropriate region (based on signal strength/quality). Sometimes some of the other regions also get added to channel list, but get assigned a higher TV channel number, so take a look through the full channel list. If you’re not getting the region you want, it’ll be a case of making sure that your TV aerial is pointing at the appropriate digital TV transmitter, and that you have a suitable aerial group to receive that transmitter’s channels. An aerial installer can help with ensuring that your aerial receives the required regional channels. More on aerials. Most commonly, it’s down to your aerial cabling – the signal goes in to your first Freeview box, then through your TV, video recorder, and then down 20 metres of aerial cable to a second Set-top box elsewhere in the house. By the time it’s done that trip, loss through cable has reduced the signal. This of course is a lot worse if there are a lot of joins in the cable, or it’s cheap aerial cabling. The advice under Cabling applies. An amplified booster is often worth looking at too – as these can split and amplify signals to service multiple boxes, and should be your first focus. Something else to consider: Not all Freeview boxes are the same – some are better made than others, and are better at handling a weaker signal. Perhaps try swapping the boxes around to see if that helps. Top Up TV The subscription channels offered by TopUp TV are transmitted in the same way as Freeview (over the air for reception via a TV aerial and suitable box). The channels are transmitted on Multiplex A … Channel 5 on Freeview is also on Multiplex A, so if you’re able to receive Channel 5 on a Freeview box that has a suitable slot for a subscription card, then you shouldn’t have a problem receiving TopUp. See our TopUp TV page for more information, or our Freeview Coverage advice page for help on getting Multiplex A. Box interferes with other channels After connecting a Freeview set-top box into your setup for the first time, it’s not uncommon to find that when it’s switched on, you lose one of the channels that you have tuned in your TV in to receive. 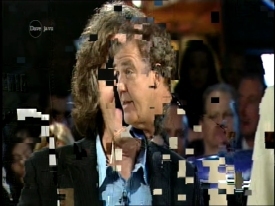 A common example of this, is when you switch on your Freeview box, you lose the ability to watch Channel 5 or the video. This means that your video or set-top box is broadcasting (known as ‘modulating’) on the same channel number as another channel that’s already in use, and the clash generates interference. This kind of clash was common with video recorders when Channel 5 started… many video recorders had to be retuned so that Channel 5 didn’t interfere with the video recorder signal. Each ordinary TV signal (BBC1, BBC2, etc) is on a dedicated channel (a number between 21 and 68), and you need to tune your TV preset buttons into each channel. Many set-top boxes and video recorders have an aerial output with a ‘modulator’ – this means that it’s capable of generating its own channel (between 21 and 68), which you have to tune a TV preset into. If you are experiencing interference because of a clash like this, you’ll need to change the channel that the box or video broadcasts on. You’ll find details of how to do this in the box/video’s manual (look for RF modulated output channel, or UHF channel – something like that). Note that this is only a problem if you’re trying to watch via standard TV channels, as opposed to a SCART feed from your set-top box or video (as SCART connections don’t use a TV channel). If your TV / video has a SCART socket, using this may be a much better bet than a modulated feed via an aerial lead, especially in quality terms, and to remove the chance of interference or clashes, you may wish to disable the set-top box’s RF modulator altogether. See our Connection section for help on setting up your set-top box, video and TV using SCART leads. Postcode predictor accuracy Postcode-based predictors (covered here) can only give an estimate of likely coverage. The database doesn’t know whether homes have basic or high-quality aerials, whether a person in that postcode lives in a house, ground-floor flat, or a bungalow, or whether there or obstructions blocking a clear line to the transmitter – so it provides an estimate based on likely signal strength in the area. These estimates tend to be conservative – after all, if a postcode is listed as “ok for Freeview” and 50 people rushed out to buy Freeview boxes, only to find that they don’t get a signal, then that’s 50 customers looking for a refund. Properties in a postcode that have decent aerials, correctly aligned, perhaps with an amplifier, may be able to get a decent signal when the predictor says that Freeview reception shouldn’t be possible. Freeview via cable? If you get your TV from a cable provider Virgin Media (formerly NTL / Telewest), you won’t be able to watch Freeview on a Freeview set-top box using your cable TV aerial wiring – this is because cable companies don’t send digital terrestrial TV signals down their cable system. To get Freeview, you need to connect a Freeview box (or digital TV set) to a standard TV aerial that’s pointing at a digital TV transmitter.